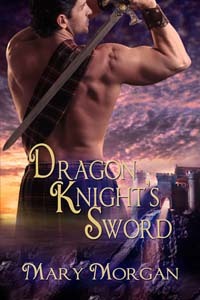 Mary Morgan joins me this week on Medieval Monday with her time-travel historical romance, Dragon Knight’s Sword. Here’s the blurb, and an excerpt follows. merely inches in front of her. Mary and I welcome your questions and comments. Also, make sure to return next Monday for a new medieval author.